A few weeks ago some leaks and rumors were there about the upcoming OnePlus 5T, whose launch event is scheduled for 16th of November. 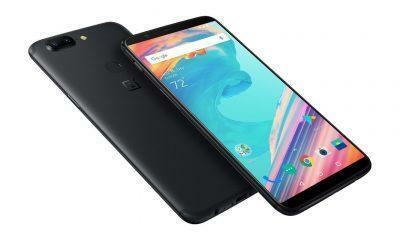 There are a majority of people who are using OnePlus 5 or any other smartphone but are interested in buying the OnePlus 5T; they are very curious to know about the specs and pricing of the device as before the official launch it may not be possible. But wait we have some exciting information about the pricing, specifications, features of the device even before the launch. Image of the OnePlus 5T official box. 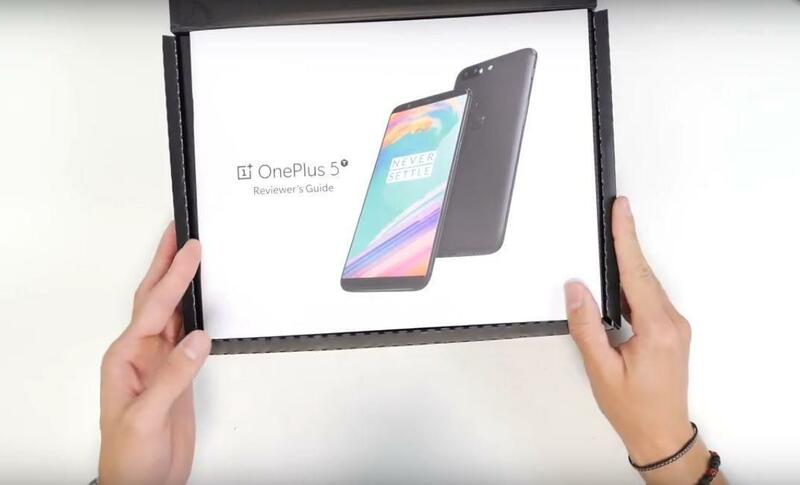 Recently a video went live on YouTube about the Unboxing of the upcoming OnePlus 5T, and it has revealed a lot of things about the device. 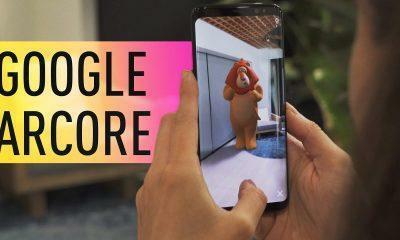 As previously leaked the device sports a Fingerprint Scanner in the rear and it is as fast as any other flagship like iPhone X or Galaxy Note 8 will offer. The design looks attractive this time as the front is mostly occupied by a 6.0(inch) Optic AMOLED Full HD+ Display with the protection of Corning Gorilla Glass 5. 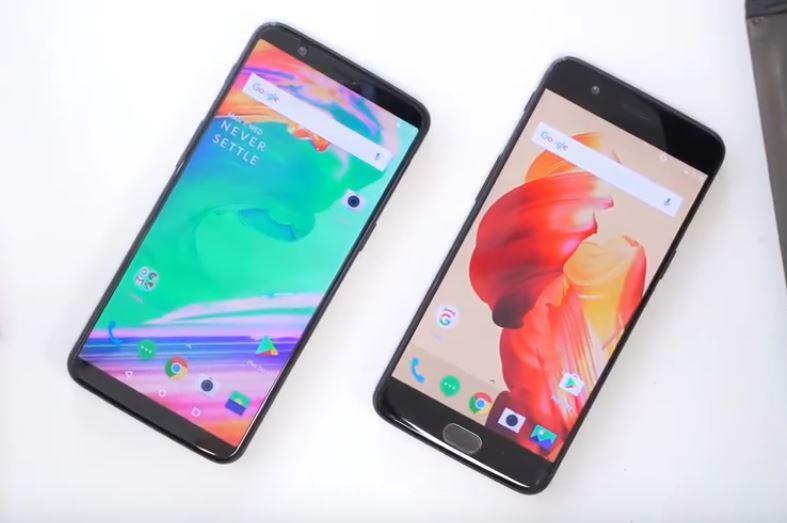 With the updated design it looks more modern and promising, the side bezels are almost zero through the top, and bottom bezels have been decreased by a margin. 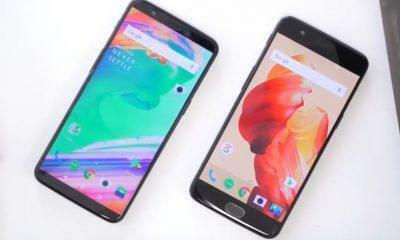 The image is showing a comparison between the OnePlus 5 and the OnePlus 5T. In the previous OnePlus 5 one can choose between the On-screen and Off-screen navigation buttons, but unfortunately, this has been eliminated from the latest OnePlus 5T. 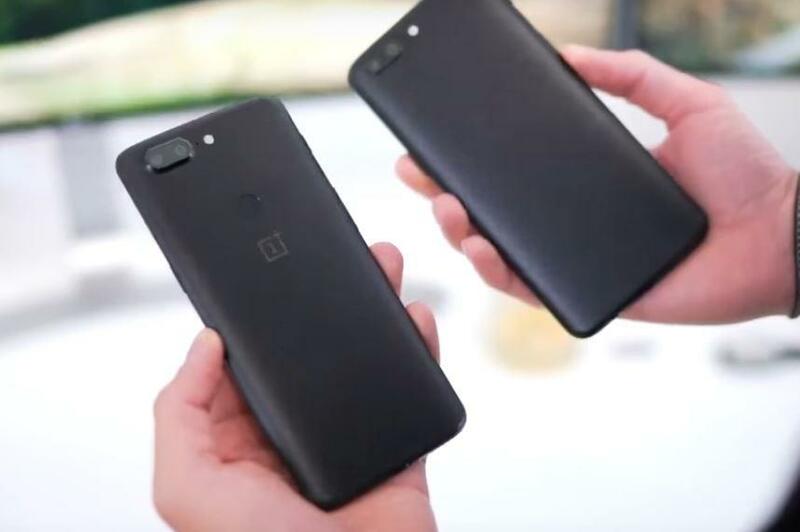 The material used to make the device remains same as that of the OnePlus 5, powering the device is a Qualcomm Snapdragon 835(64 bit) processor which is identical to the old device from OnePlus. OnePlus 5T will be made available in two variants 1.) 6GB RAM/64GB ROM and 2.) 8GB RAM/128GB ROM. In the rear department, a Dual-Camera setup is present on the same place, but this time it looks more bulged out of the body, there is a 16MP(Sony IMX398 sensor) with Aperture f/1.7+20MP(Sony IMX376K sensor) with Aperture f/1.7. This time the device will offer a better Low light photography as both sensors have an Aperture of f/1.7 which means more light can be reached to the sensor. The image is showing the new OnePlus 5T device. In the front, a 16MP shooter is there with an Aperture f/2.0. The device runs on a 3300mAh battery with Dash Charge technology. This time the device also comes with the capability to unlock it with Face Recognition similar to the iPhone 10. It will come running on Android 7.1.1 Nougat out of the box but will get the Android Oreo update in the Q1 of 2018. For connectivity, it has Bluetooth v5.0, Dual-SIM compatibility, NFC, GPS, Wi-Fi, etc. And lastly, the Indian pricing of the device is also confirmed by “Techdipper” as per them OnePlus will keep the pricing of the OnePlus 5T identical to that of the OnePlus 5 I-e 32,999 INR for the 6GB/64GB variant and 37,999 INR for the 8GB/128GB variant. For more Tech related updates stay tuned to us. Apple’s iOS 11 Devices can be Jailbroken? iPhone 8, 8 Plus, iPhone X?